We had a very relaxing, fun and productive weekend. Since my DH works out of town during the week, by the time the weekend roles around, nobody wants to do yard work. Most of the time, when we do start on the yard, it turns in to just playing with the kids or just hanging out. But we decided that if we here going to BBQ, we must get it done. A good thing we did, because ever time we let Bella (our Jack Russell terrier), she would get lost in the weeds! I was able to get in a crafting too which I loved. So I decided to play along this week at Saturated Canary. The challenge - make a "Bookmark", click HERE for more details. I love love Krista's images and the one I used today, Gametime, is even more awesome because I really enjoyed the book/movie it's created after...The Hunger Games. 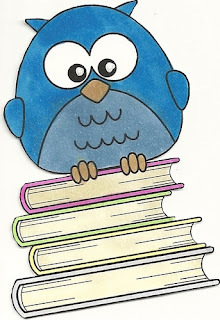 Of course, I used the Gametime image to make a bookmark for when I re-read the series. Supplies used: Saturated Canary image Gametime; My Creative Time Tag Dies; copics; DCWV Natural Matstack with Foil; sentiment found online; Twine - My Pink Stamper. Hope you enjoyed today's project. If you liked Gametime image, you must check out Saturated Canary's catalog. 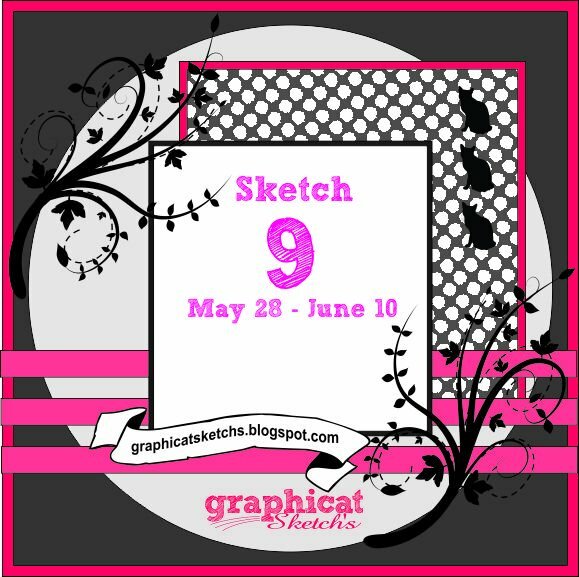 Good Morning and welcome to another Graphicat Sketch Monday! 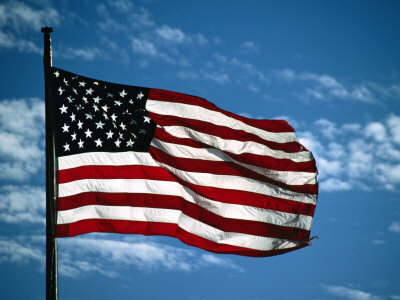 and thank you to all who have served in the past. We appreciate your dedication, commitment and bravery! Hope everyone is enjoy their extending weekend. I sure have enjoyed the time with my family and friends. My DH doesn't have many days off so it is special to be able to spend an extra day with him and the kids. Today's Graphicat Sketch #9 is wonderful and a joy to work with. 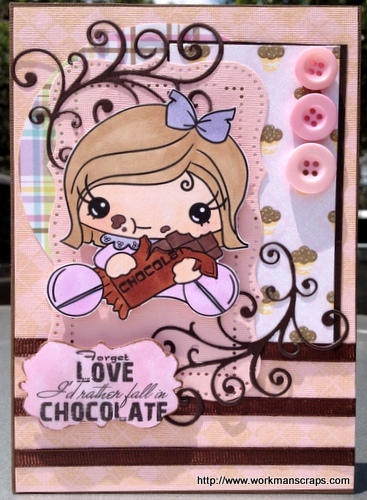 In my take on this beautiful sketch I used a Pixie Dust Studios image Chocolate Pixie, coloring her with copics. She is just too cute eating her chocolate. I paired the image with Graphicat Designs sentiment. Other supplies used: pattern paper - DCWV Glitter Sweet Matstack; My Creative Time - Coffee Backgrounds; buttons - The paper studio; My Favorite Things - Die-namics Fancy Flourish; Martha Stewart punch - Cherish; ribbon - Hobby Lobby. Congratulations to the winner of Sketch #8! 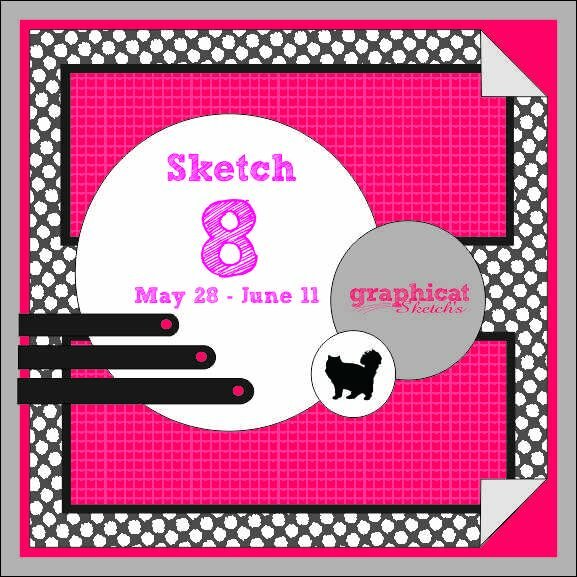 I hope you able to play along with Graphicat Sketch #9. I am also submitting this card to Pixie Dust Studios - Tasty Pixie Challenge. Hello to all my fabulous friends! WOW - it's been a whirlwind of activity in my home. Between work trips, kids end of the school year activities and general everyday happenings, lets just say that sleep has not been on my to do list - much less, crafting. Last week I was out in Anaheim, CA for a work related conference and man oh man it was gorgeous. The weather was beautiful and perfect the entire week I was there. I did make it to the "Happiest Place on Earth" for a few hours and you should have seen me...I was like a kid in candyland. The sights, the rides, the smells and the fun fun fun was just AMAZING! Of course I have pictures and will post more later. 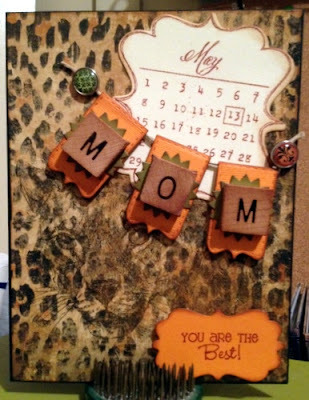 I made time last night to create my May tag for Tim Holtz 12 Tags of 2012 (and yes I still need to complete March and April tag). I really enjoyed making this one and I like the way it turned out. Supplies: Seam binding with Antique Linen distress stain; Sewing pattern tissue; distress ink/crushed olive, vintage photo, dusty concord, tumbled glass, tattered rose, ripe persimmon; ideology/trinket pins, hanger clips; ruler ribbon; the paper studio frame charm; glossy accents; CMS105-Haberdashery stamp set. Thank you for stopping by and let me know if you too are playing along with 12 Tags of 2012, I would love to see your take each month. Happy Monday from the beautiful state of California! Well I do live in Texas but had to head over to California this week for work (insert sad face here). The plane ride over was nice and long but that landing was ROUGH! It was a hold on for dear life moment and once the plane stopped you look around and everyone else is doing the same and then all at once you small and like me give a nervous giggle and say "WOW what a landing." We all start laughing out of relief. But I have to say the weather yesterday and this morning is awesome and since I haven't been to this part of Cali - Anaheim, I hope this week turns out to be a good one and not all about work. So you probably came here looking for my take on Graphicat Sketches this week, but I didn't get in my scrap room last week as much as I wanted so, sorry folks but nothing for you today. But please head on over to Graphicat Sketches and see what everyone else has for you. Believe me when I say you will not be disappointing! I know you will be inspired by what you see and I really hope that you are able to play along this week! Here is Graphicat Sketches #8 so you can play along. No, I haven't forgotten that I need to post the winner from Jaded Blossom's Customer Blog Hop, I will do that later today. Welcome to the Customer Appreciation Blog Hop hosted by Candace and Michelle of Jaded Blossom. If you have not heard of Jaded Blossom, let me introduce you...meet Candace from Paper Crafts By Candace and Michelle from Scrappin With My Bug - two very talented ladies who teamed up to create Jaded Blossom, a stamp company. Two of my favorite sets are Cheesy Pickups and Funny Mail; which I used for today's blog hop. If you started here, please make sure you hop over to Jaded Blossom to start the Blog Hop from the beginning so you don't miss any of the fabulous inspiration post today. Also, Jaded Blossom has three FREE digital images for you, just for hopping along with us today and three more prizes to 3 lucky people if you comment on every blog. Using Cricut Cartridge Pop-Up Neighborhood, I cut the mailman at 4" (he is pieced together with my ever handy Xyron 1.5" create-a-sticker) and fence at 1 3/4" to create a card for a dear friend. The embossed envelope die is from My Creative Time. The little envelope in the mailman's hand, sentiment 'Happy Mail' and the open heart stamp all come from Jaded Blossom's Funny Mail set. Such a fun and cute stamp set - perfect for creating snail mail cards for anyone in your life. 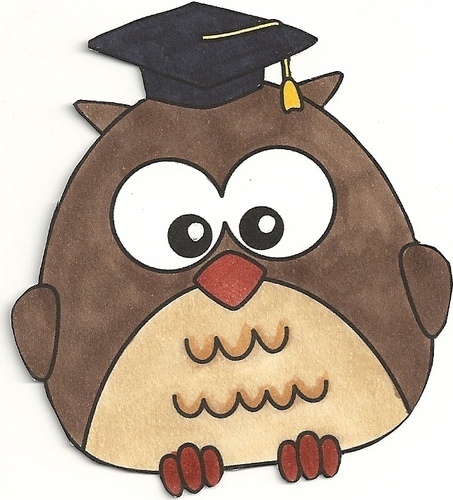 The little owls are just too cute. 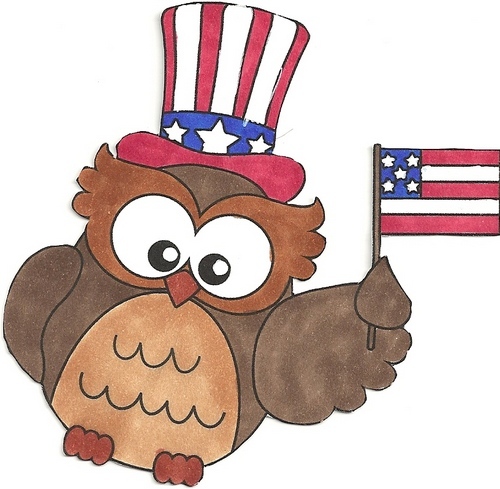 Hope you enjoy the Blog Hop and remember to head over to Jaded Blossom to start at the beginning. You do not want to miss any of the crafty inspiration. Don't forget to leave a comment on all the blog post by Sunday for your chance at one of the three prizes: Echo Park paper, Twine and new treat boxes. 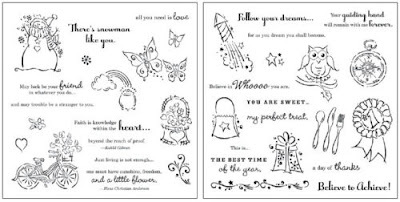 And did I mention that I have a giveaway of my own, NO....well leave a comment with your email (so I can contact you if you are the lucky winner) on this post buy Sunday, 11:59pm for your chance to win the below stamp set. 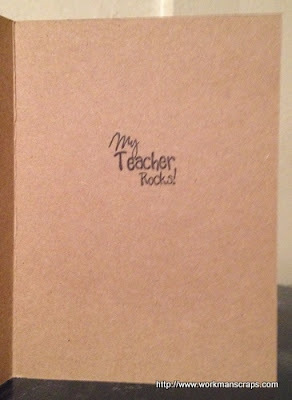 I will post the winner sometime Monday. Yesterday was my Daddy's birthday! He is one awesome,understanding, playful, loving Daddy and Pawpaw. He is a hardworking and dedicated Police Officer. 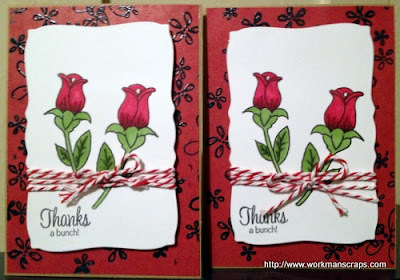 Supplies: My Creative Time Floral Sentiments, Encouraging Quotes and This & That stamp sets; DCWV Tattered Time Mat Stack & Cardstock; Stampin' Up Twill tape; Archival Ink Sepia. 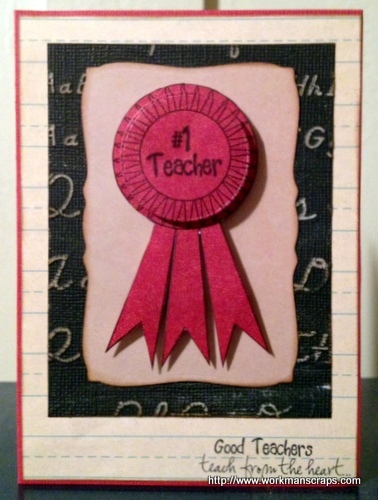 I just noticed that I never posted this card I made for my Niece's birthday. KK is a wonderful girl and she'll keep you on your toes. She is funny and never at a loss for words. She is tall, beautiful and her smile lights up her eyes! Supplies: Authentique - Blissful; Balloons from Cricut Cartridge Wrap It Up; My Creative Time Floral Sentiments, Curly Label Die, Floral Petal Dies and Teeny Tag Greetings; Memento London Fog ink. Welcome to another day with Twisted Sketches - Cards. This sketch is awesome. 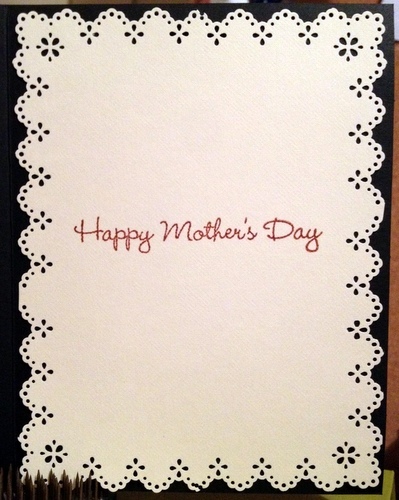 The card is for my Mom for Mother's Day, she loves the pattern on the paper and has it scattered around her house. 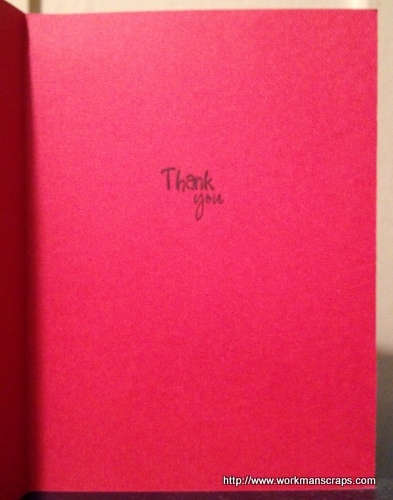 I can not wait for her to see this card. This weeks twist is 'Animals' - any way, any how! 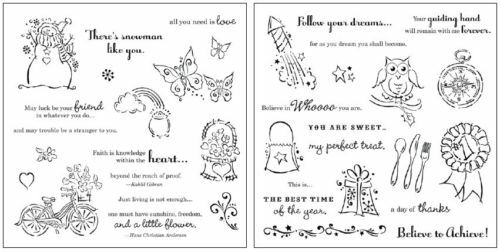 Supplies: My Creative Time - Curly Label, Build A Banner Kit, XL Label Die, My Favorite Sayings, Whimsical Calendar Days, & More Gift Card Sentiments. Pattern Paper from Bo Bunny Zoology; Brads from Teresa Collins World Traveler; Ink - Archival Ink Sepia & Distress Ink Vintage Photo; wood alpha tiles from Bottle Cap Inc and Martha Stewart punch eyelet lace. 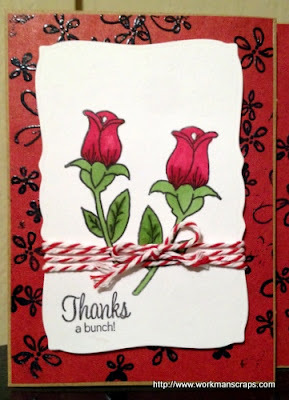 Thank you stopping by, I hope you are able to play along this week and be sure to hop on over to Twisted Sketches - Cards for more inspiration.